Product code: 193 Categories: Sold Items, Sold Jewellery. This is a lovely antique swivel/spinner. 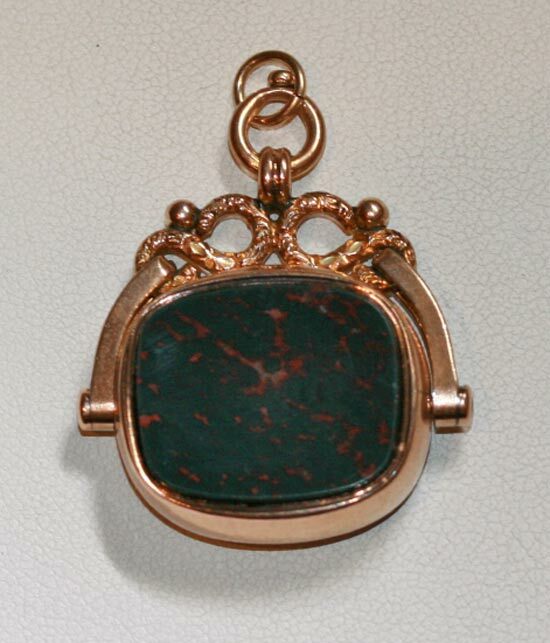 Made in Birmingham in 1901 it is set with carnellian on one side and bloodstone on the other. 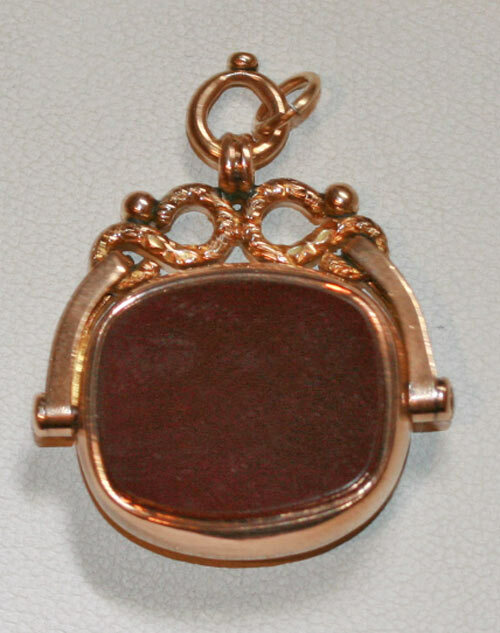 The top part has a lovely design, sure to look great on any chain.